Meet police superintendent Malin Fors: Talented. Troubled. With a sixth sense for the truth. Join her on a manhunt that takes her to the darkest corners of the human heart in this chilling first novel from Scandinavian crime writer Mons Kallentoft. WHEN THE ICE MELTS, WHAT REMAINS? Thirty-four years old, blond, single, divorced with a teenage daughter, Fors is the most driven superintendent who has ever worked on the police force in her small, isolated town. And the most talented. In her job, she is constantly moving through the borderland between life and death. Her path in life is violent and hazardous. Linköping, Sweden, is surrounded by a landscape of plains and forests—a fault line on the edges of society where time seems to have stood still and where some people live entirely according to their own rules. In the early hours of a frigid night, during the coldest February anyone can remember, the bloody body of an obese man, stripped bare and horribly mutilated, is found hanging from a lone oak tree in the middle of a frozen, snow-covered, and windswept plain not far from town. The young superintendent Malin Fors is assigned to the case. Together with her colleagues from the Investigation Section of Linköping’s Crime Unit, she must track down the identity of the man in the tree and the reason why he ended up there. And at the same time they must follow in the frigid wake of a killer who has just begun his work. It is a manhunt that will take Malin into the darkest corners of the human heart where the sins of the past—hidden away—all too often wreak havoc from one generation to the next. "Meditative. Dark. Really, really cold ... This is a worthy successor to Larsson's Millennium trilogy ... This first installment in Kallentoft's crime series is a splendid representative of the Swedish crime novel, in all its elegance and eeriness." "Don't bother with Stieg Larsson, Kallentoft is better." "He has a completely unique style, an exquisite narrative that you drink in with pleasure ... I'm convinced: a crime novel doesn't get much more beautiful than this." "A gripping opening gambit ... Investigating inspector Malin Fors is a feisty single mother, whose flaws are intriguing and endearing ... The chillingly suspense-filled story works up to a truly stunning finale." "Sharp writing and original insights add spice." "Most successful as an in-depth exploration of small-town life in a country which is theoretically democratic and egalitarian, but only on the surface." 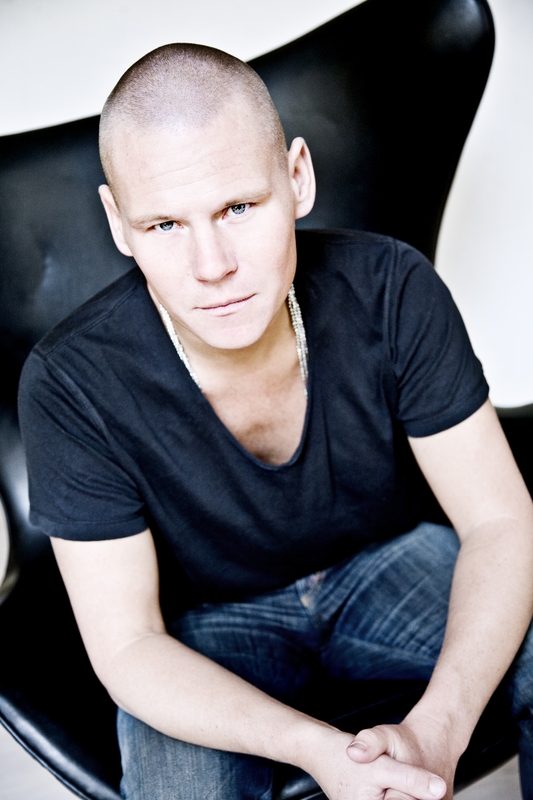 " Kallentoft is gifted ... He has a knack for characterisation and describing the slow burn of police work." "A cleverly crafted ... dark multilayered murder mystery." "Malin Fors is an intriguing and complex heroine ... 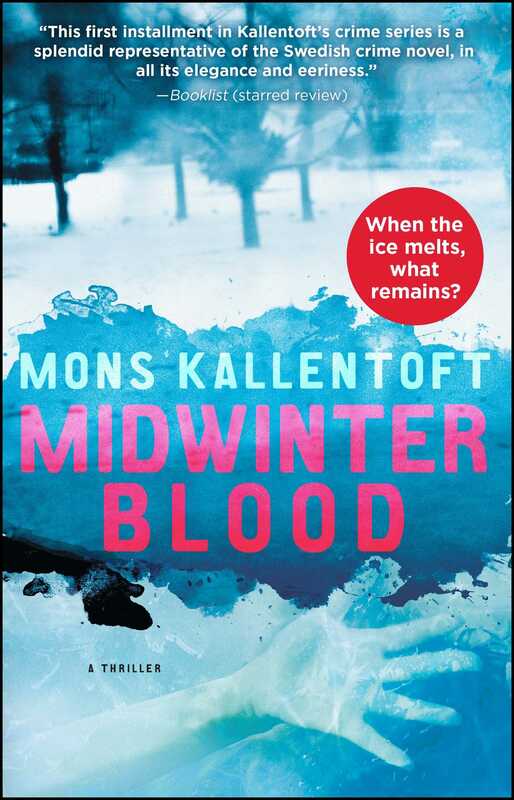 MIDWINTER BLOOD shows the hidden life under the picturesque surface ... Kallentoft is an outstanding writer." "An all-round chilling read, and an interesting beginning to what will be a fascinating five-part series of crime fiction page turners featuring the policewoman." "The prose is spare and the dead man whispers to the detective which she seems to hear and transform into an unerring instinct for the truth." "[Kallentoft] is rightly praised for his skill at plotting, as well as his ability to create strongly-realised female protagonists ... The author's sequence featuring his wonderfully rounded female protagonist Malin Fors is rapidly acquiring a devoted following."